A 3hour drive to Seattle, WA. Surprisingly up until this point, I hadn’t listened to much American radio but forgetting to charge the iPod I was furiously channel flicking on the short drive into Washington. You do not know bad music until you listen to American radio. Twenty channels of Country-Pop-Rock… think acoustic Nickelback with a country accent, endless different ‘artists’ in this vein. My ears were bleeding. 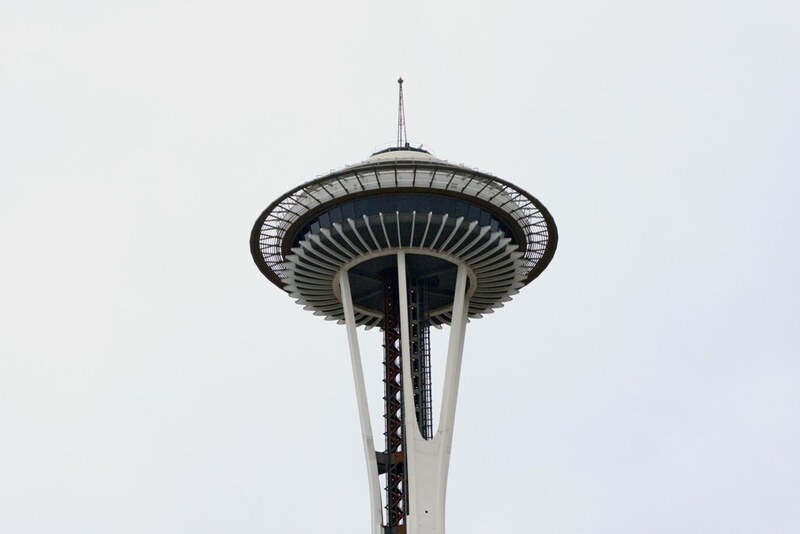 I finally got into Seattle, much later than I had planned unfortunately because I was only effectively staying one night I’d have to get out there and do something. When I began planning this trips months and months back I had to move dates around a few times, which makes this all the more spooky. I had planned to do a small site-seeing Nirvana/Kurt Cobain tour thing but as it turns out the date I’d be Seattle was in fact April 4th and staying overnight of the 5th (The anniversary of the day Kurt Cobain died) I wanted to detour 1hour into Aberdeen (1hour from Seattle but I’d left it a little late) Instead I apprehensively decided to visit Cobain’s “Graceland” or the last he bought and lived in. 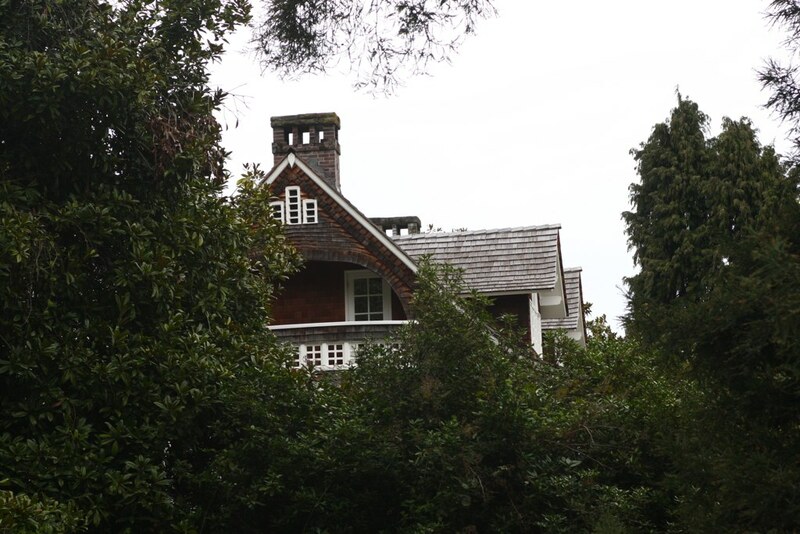 It’s not a proper Indication of Cobain, because he only lived there for a short period (after Nirvana had become successful and he had the money to buy such a place) even so the house itself is completely modest. It’s in an expensive area on Lake Washington Blvd (it overlooks a lake with Ice-topped mountains behind it) It’s an amazing view but the house is secluded behind many trees. It looks like a large very-homey lodge. Next to the house is a small (1 house block-size) park with a park bench. 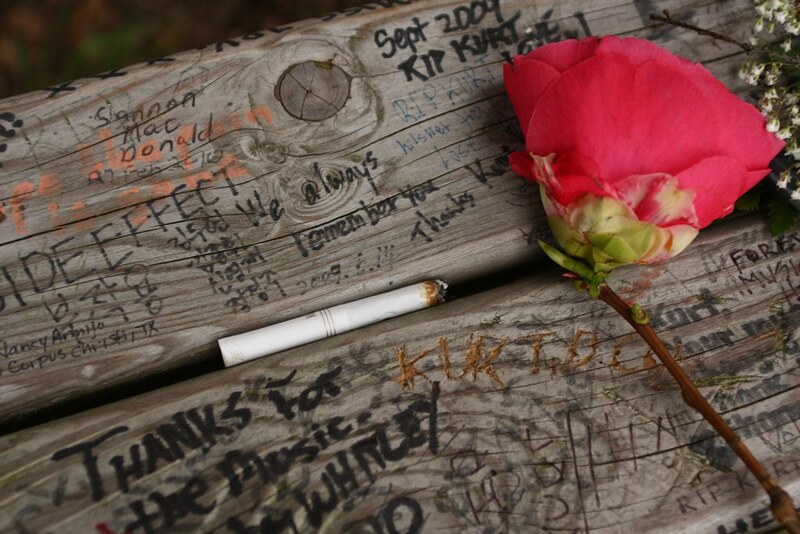 The story goes the last place Kurt Cobain was seen alive was by passing residents as he sat on that park bench. It’s kind of funny in a way. It’s this small, understated park where you effectively stare at some trees and the road where yuppies pass by in SUV’s. I can totally picture Cobain sitting there with a smirk of contempt on his face, wholey aware of the irony of him living there. The park bench has become a make-shift shrine. 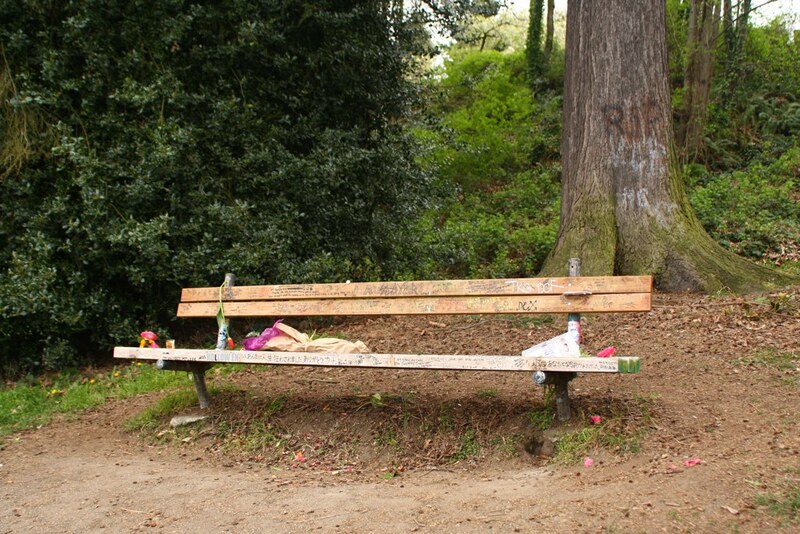 Courtney Love (his late wife) apparently scattered his ashes in the trees behind the bench. 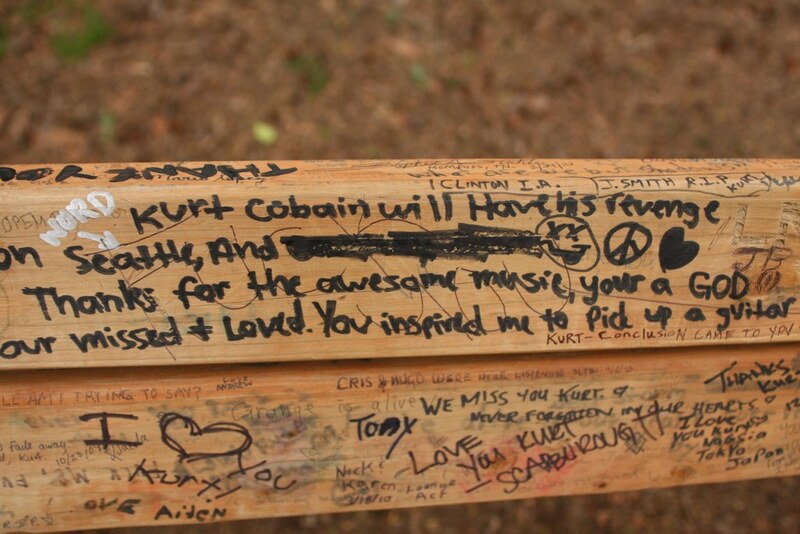 The bench itself it covered in dedications from fans. 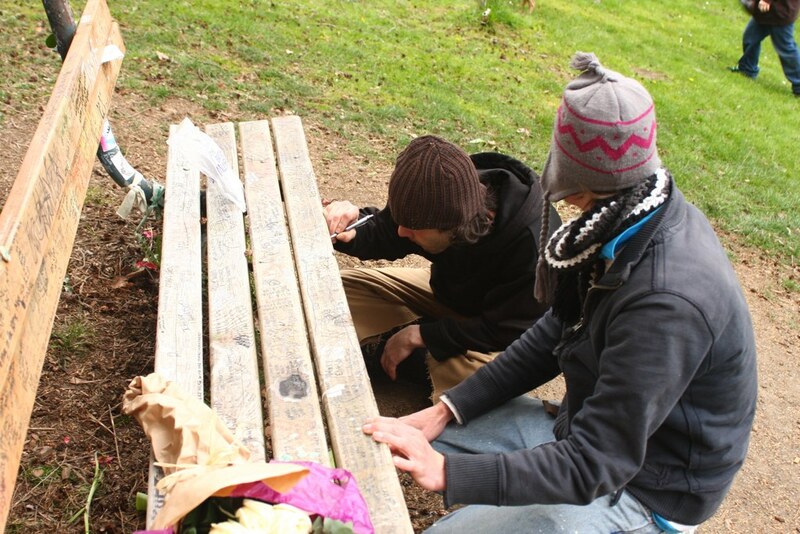 As I walked towards the park there were three guys sitting before it, writing messages. 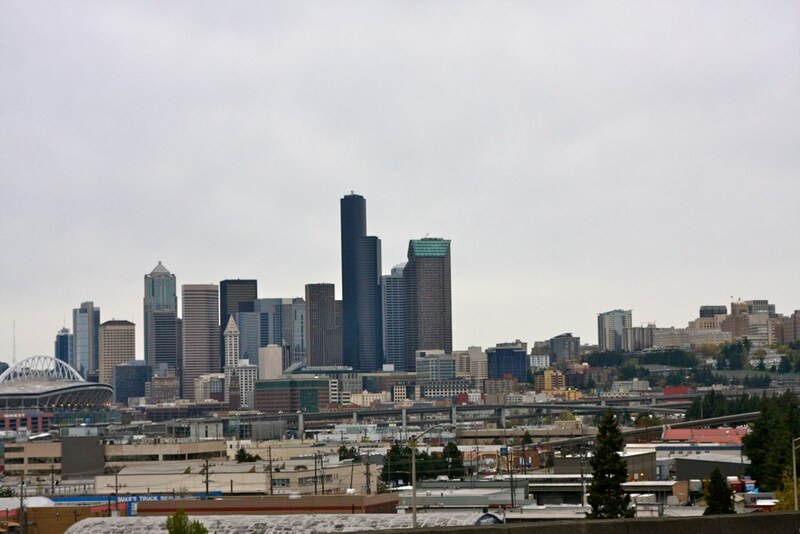 It turns out they had hitch-hiked across the USA and it was the first time in Seattle and first time at the spot. We exchanged stories of our little minds being blown growing up; ages 11, 12, 13 listening to the sludgey raw, gravely sounds of Cobain and then expressing dismay at how the many artists of today (and following) have failed to ever comprehend Cobain’s message of a world of anti-rockstar, anti-masochism, anti-cockrock and sexual equality in music. 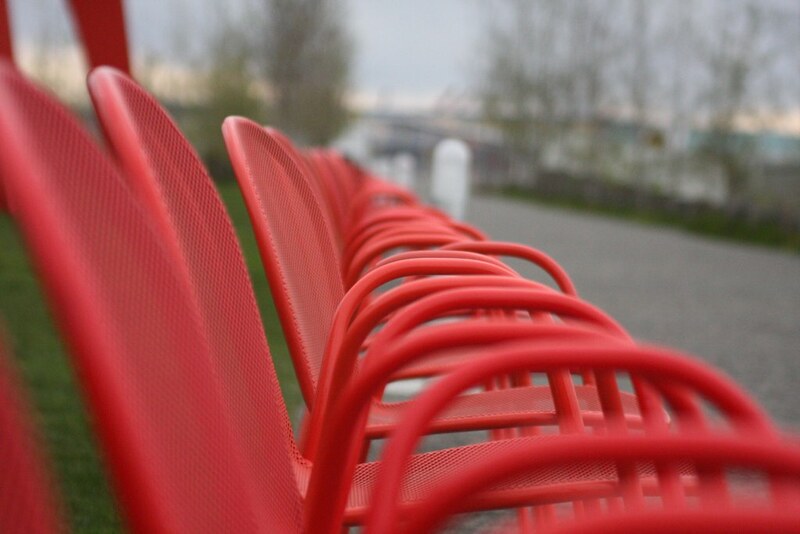 We sat there on the bench, the four of us quietly. One of the guys Adam lent me his iPod to listen to a b-side I’d never heard. Loud and bright LIVE, just like many of the bootlegs I listened to as a kid. 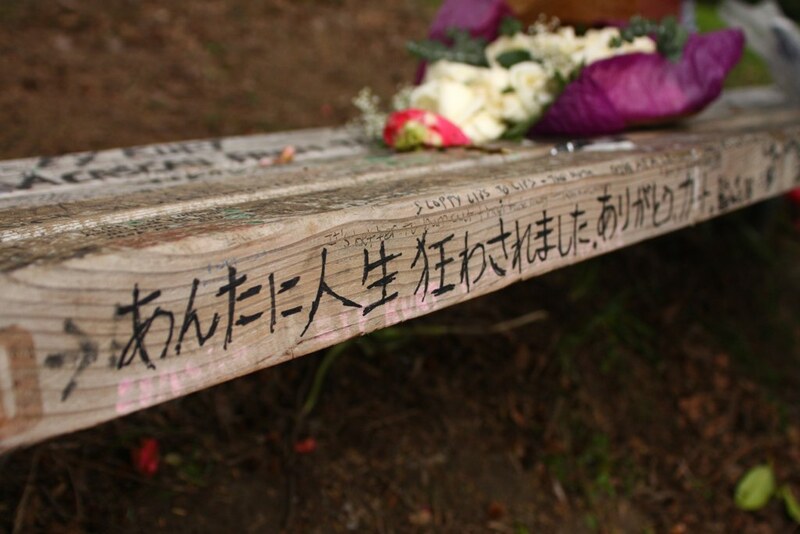 People had already left flowers and candles there. There were messages of solidarity from all over, the UK, Poland and Japan. I contemplated for awhile what I’d write. I eventually went with a quote from one of Cobains loves; a song from a band called The Vaselines, Nirvana covered two of their songs on their album Incesticide. Kurt loved them so much he FORCED them to reform so they could open for Nirvana when they were in Edinburgh, Scotland (The Vaselines hometown) The chorus of the song titled “Son of a Gun” is “The sun shines in the bedroom when we play, the raining always starts when you go away”. I went with the latter part of that. The guys were genuinely shocked when I told them what day it was (the anniversary of Kurt’s death) turns out they hadn’t planned it either. Later on they went to knock on the door of the house and then heard someone playing basketball out the back. They walked up to the fence and asked “Hi, just wondering are you a Nirvana fan?” this was met with a stern NO! and the guy sounded like a yuppie tool. Quite amusing, though understandably he probably has to put up with constant harassment. 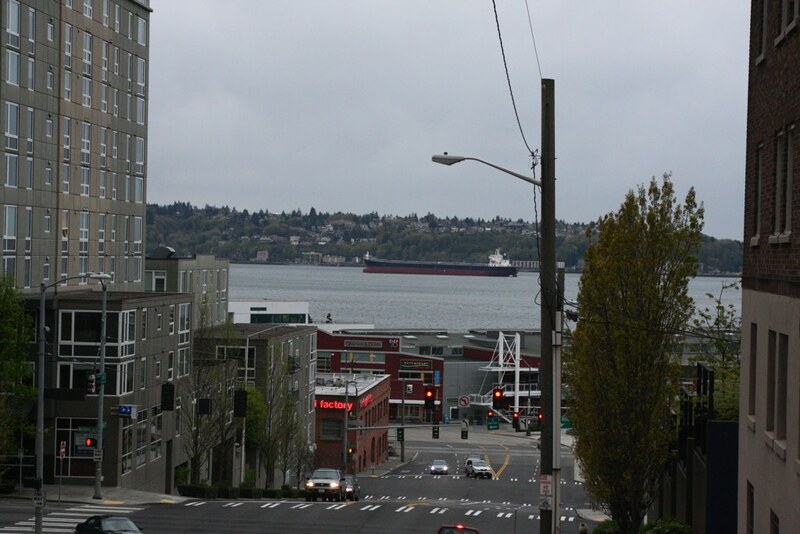 Later on I went for a wander around Seattle, it’s an Interesting place. Not really smoking-metropolis but not really quiet and dull either. Somewhere in between. No bands were playing on a Sunday night a the Crocodile Cafe unfortunately (a popular venue in the 90’s) so I stayed in at night and decided to leave early the next morning!